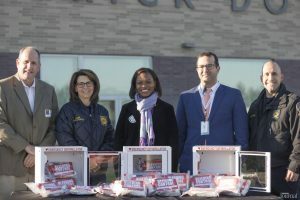 On October 29th Councilmember Angela Evans donated 32 wound control kits to Frederick Douglass High School. Wound control kits are equipment that helps control bleeding in an emergency. 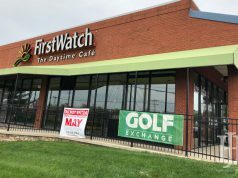 “It is my pleasure to provide Frederick Douglass High School students with access to equipment and training that could potentially save someone’s life,” Evan’s said. The kits will supplement safety training for Frederick Douglass High School students during the Lexington Fire and Emergency Services Field Day. Field Day is part of the Citizens Youth Academy, an annual opportunity for students to learn more about city government jointly sponsored by the school and Evan’s office. 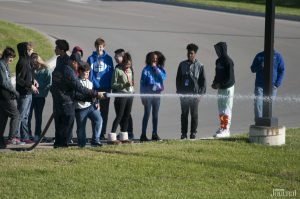 Students were given the opportunity to use a fire engine water hose, be trained to use a fire extinguisher, learn to control bleeding, and experience an on-site landing of the medivac helicopter. “The need for this type of equipment has become increasingly relevant” says Major Jordan Saas. There were 5 total stations set up both inside and outside of the school with the students broken into groups. The stations gave the students time to take in the training and not become overwhelmed and forget what they had just learned. Frederick Douglass Principal Lester Diaz welcomes events like this being held at his school. “Having our students trained in wound packaging, exposed to the learning opportunities in this event, and giving them experiences outside the classroom is what makes learning linked to life”. Anybody is capable of helping in any situation no matter the age and that is what Diaz, Evans, and Saas want to tell these students. They are wanting to give them the tools to make a difference in their community at a moments notice. 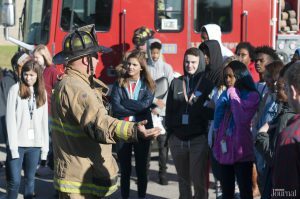 Lexington Fire Chief Kristin Chilton said programs like the one held at Frederick Douglass High School are extremely important. “We value our partnership with Frederick Douglass and hope it serves as a model that opens doors with other schools in the future”. 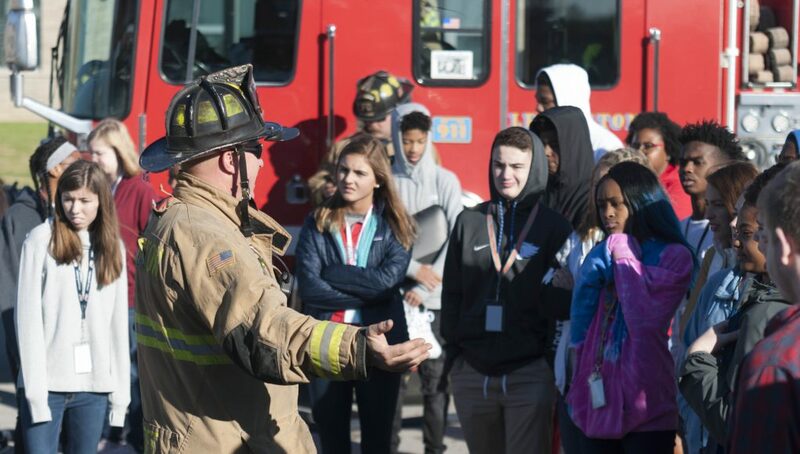 The Lexington Firefighters hope that programs like this will one day make the city a much safer place to live by teaching our youth how to be smart in situations and have the knowledge of how to react. Next articleWhat time is Trick or Treat in Lexington?